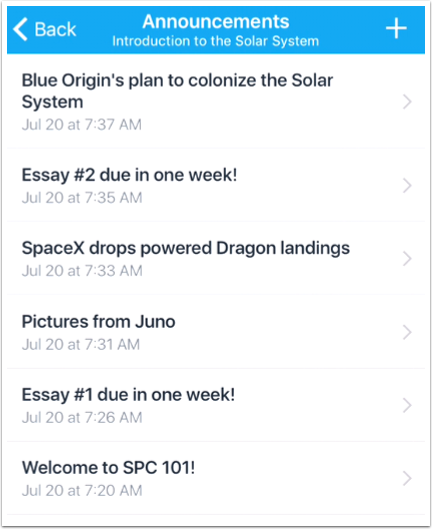 How do I view Announcements in the Teacher app on my iOS device? 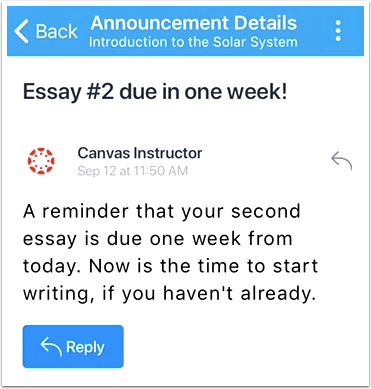 Canvas Teacher helps you view and manage Announcements in your Canvas courses. 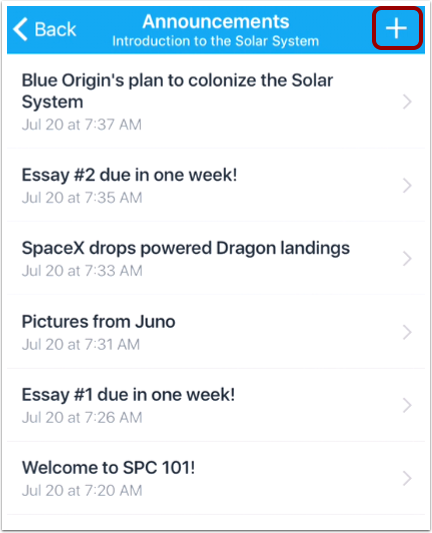 Announcements displays all the announcements in your course. Announcements are ordered by creation date with the most recent at the top. To add an announcement, tap the Add icon. To open an announcement, tap the announcement name. To manage the announcement, tap the More Options icon. You can edit the announcement, mark any replies to the announcement as read, and delete the announcement. Previous Topic:How do I reply to a message in the Inbox in the Teacher app on my iOS device? 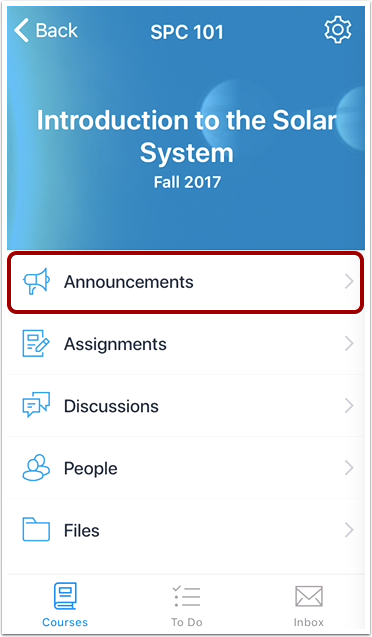 Next Topic:How do I add an announcement in the Teacher app on my iOS device? 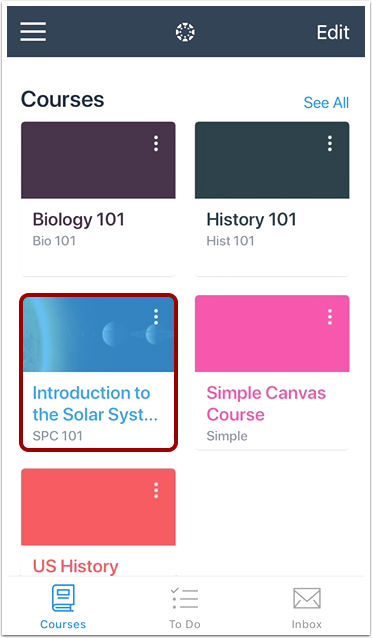 Table of Contents > Courses > How do I view Announcements in the Teacher app on my iOS device?